Fit right in as you stroll the streets of Portland while showing your support for your favorite shop with this clever design. 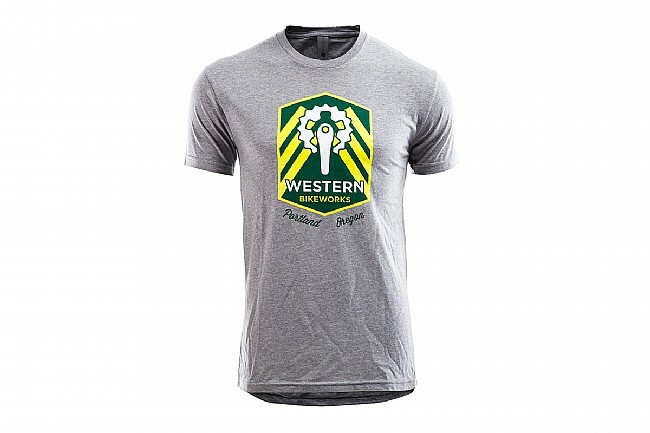 Paying homage to the Portland Timbers Football Club, we chose a bike crank over a Pacific Northwestern color palate. Cotton/Poly blend. Printed locally in Portland, OR.